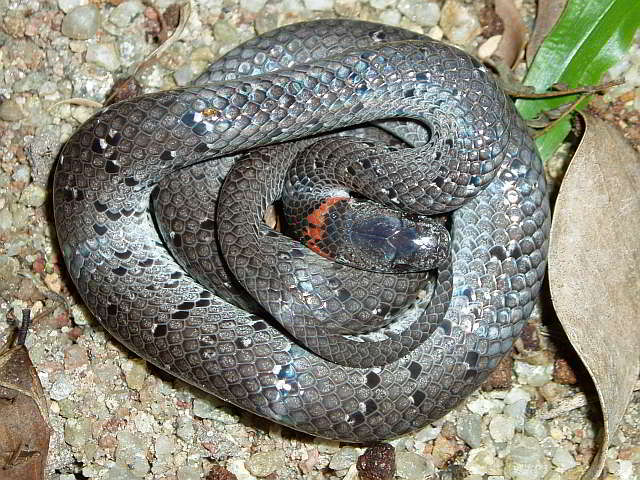 Habitat/Behaviour: The Keeled slug snake inhabits mainly the lowlands. Near human settlements, villages or cultivated areas she only rarely can be found. Her main habitat are forests. 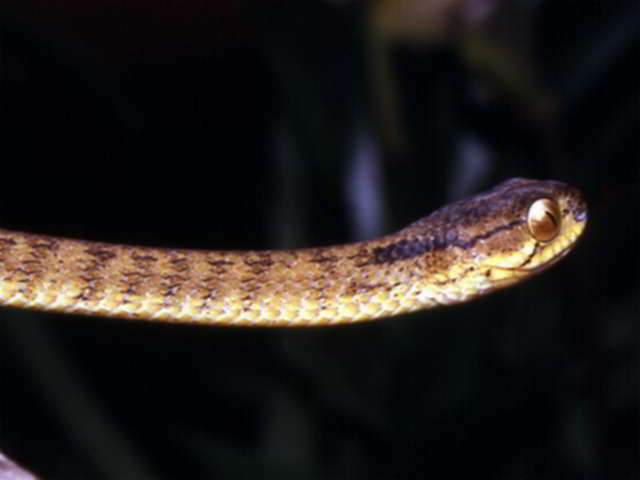 This snake is active at dusk and at night near the ground where it looks for food. The snake is moving slowly. It feeds on snails and slugs. This species lays eggs. The females are able to reproduce during the whole year. Clutches contain between 3 and 6 eggs. The newborn are between 15 and 18 cm in length. Danger level: The snakes are totally harmless and don’t even try to bite when taken up by hand. Behaviour: A ground snake, which is often found in the evening after a rainfall. If disturbed it rolls itself together into an S-form together, erects its upper body away from the ground and pushes against the "opponent", mostly however without biting.